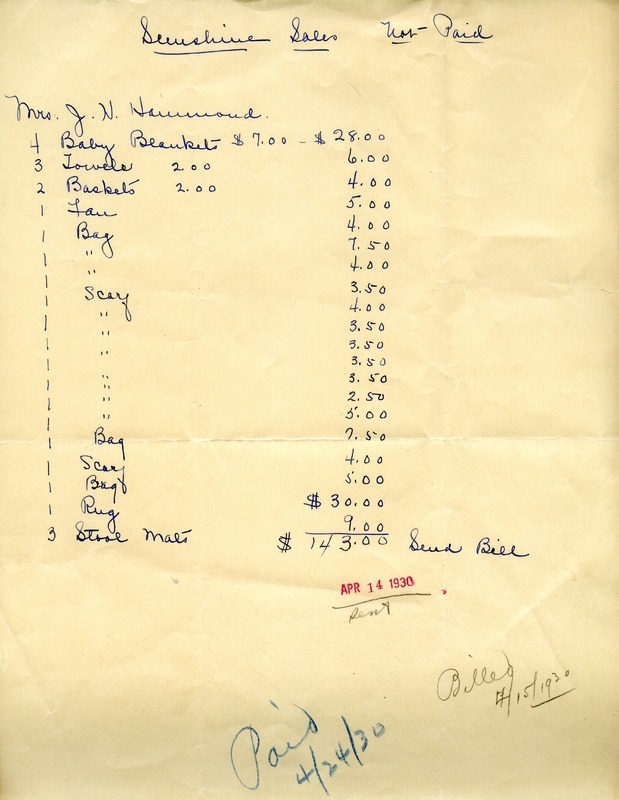 List of Sunshine sales to Emily Vanderbilt Hammond. Includes baby blanket, towels, baskets, a fan, bags, scarves, a rug and stool mats. “Sunshine Sales.” Martha Berry Digital Archive. Eds. Schlitz, Stephanie A., Sherre Harrington, Chelsea Risley, Kasey Haessler, et al. Mount Berry: Berry College, 2013. accessed April 24, 2019, https://mbda.berry.edu/items/show/12855.